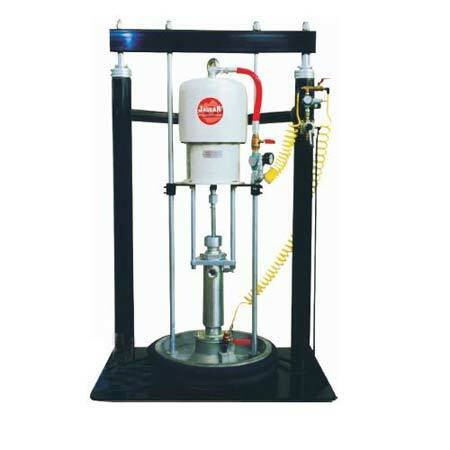 Jaguar Dispensing / Extrusion equipments are suitable for transferring, metering and application of adhesive, sealant and insulation materials. ♦ Maintenance Free low-noise air motor. ♦ Pulsation is minimized by the high changeover speed of the Mechanical air motor. ♦ Most effective, Efficient and proven for 200 Liters and 20 Liters Sealant Drum.